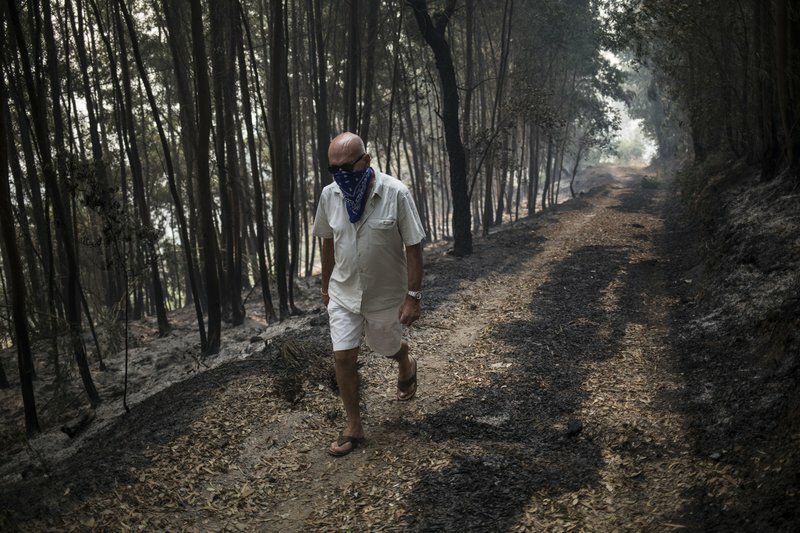 Firefighters and anxious residents braced Tuesday for a fifth straight night of battling a major wildfire that is racing across tinder-dry forested hills in southern Portugal. The blaze is sending high plumes of smoke across the Algarve region’s famous beaches and bringing criticism of authorities for failing to halt the flames. [post_ads]A strong seasonal wind from the north known as a “nortada” was driving the fire south toward Silves, a town of about 6,000 people, after it narrowly missed the smaller town of Monchique. Several hundred people were evacuated, and 29 were hurt, one seriously, officials said. 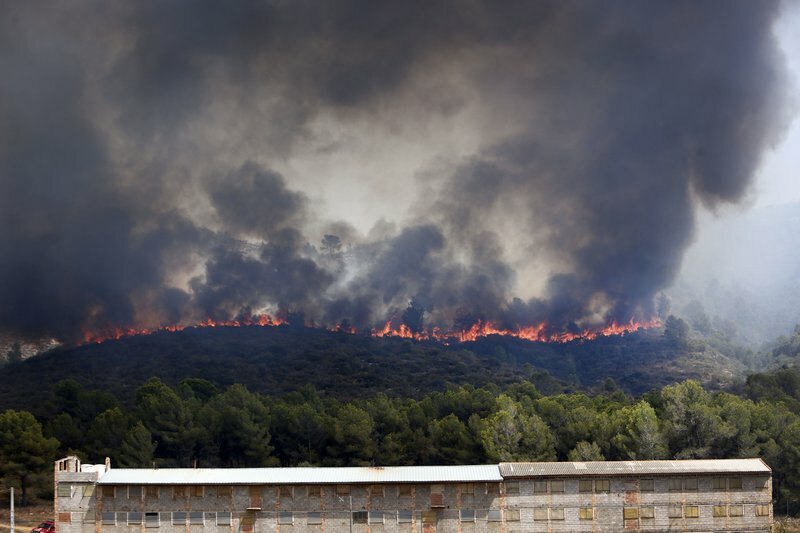 Almost 1,200 firefighters supported by 16 aircraft and 358 vehicles were deployed around Monchique, a town of 2,000 people about 250 kilometers (155 miles) south of Lisbon, where the blaze came within 500 meters (yards) of the local fire station. 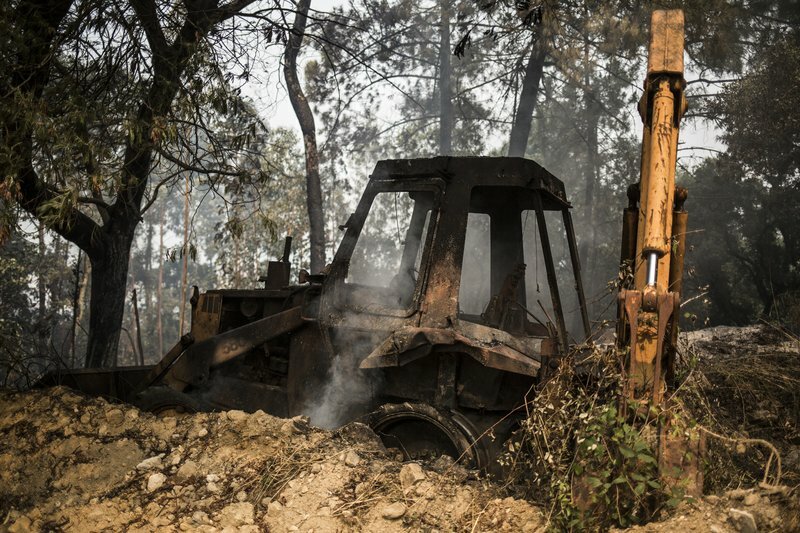 An unknown number of homes — believed to number in the dozens, according to local reports — in the forested hills have burned down. With so many resources deployed, many residents asked why the fire was still burning, especially after 95 percent of it was under control on Monday. Firefighters also publicly questioned the wisdom of the strategy to counter the flames, with some claiming poor organization was thwarting the operation. Monchique was identified as a high risk area months ago. Firefighting is coordinated by the Civil Protection Agency, a government body overseen by the Ministry for the Interior, which oversees national defense. The National Association of Professional Firemen and the Professional Firemen’s Trade Union issued a joint statement saying that the government’s recent reorganization of firefighting capabilities need to be reassessed and rethought. The organizations asked for a “very urgent” meeting with the Minister of the Interior. 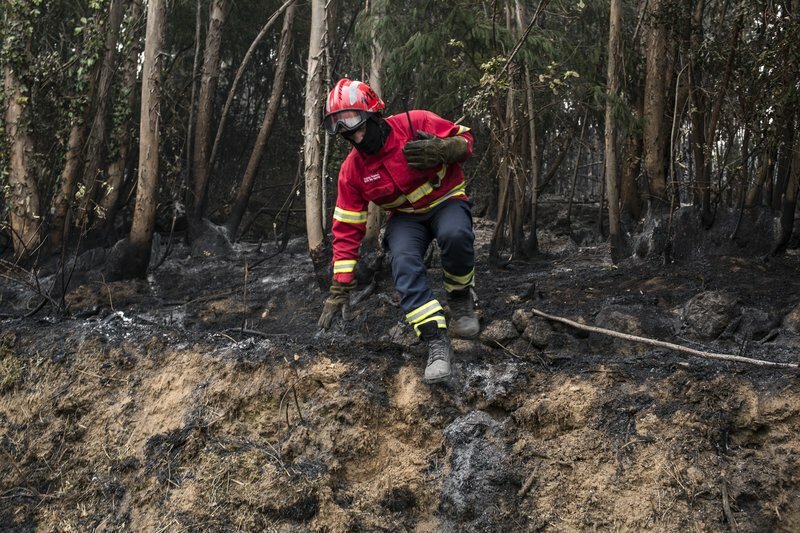 The minister, Eduardo Cabrita, told reporters authorities were switching coordination of the Monchique fire from the local Civil Protection Agency to the department’s national operational command in Lisbon. 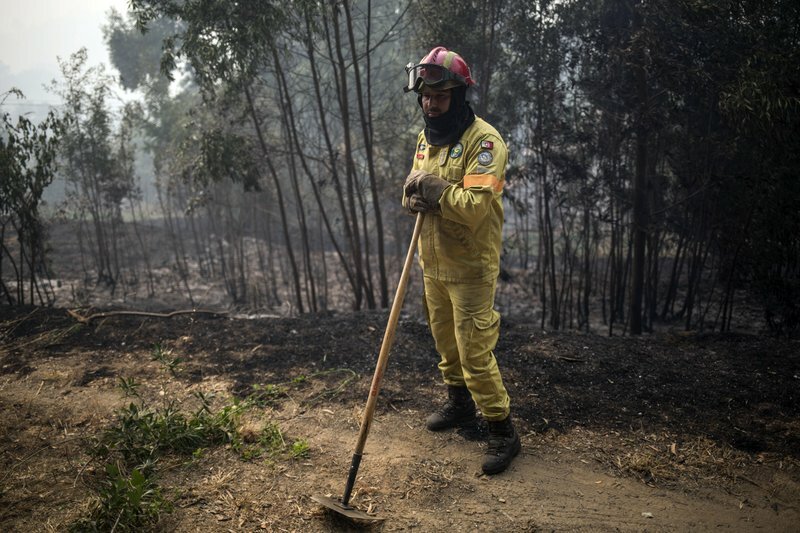 Portugal beefed up its wildfire response over the winter after 109 people died last year in forest blazes amid a severe drought. Temperatures were forecast to reach 35 C (95 F) — normal for August in southern Portugal. The Iberian peninsula endured some record heat last weekend, with temperatures exceeding 45 C (113 F), which parched large areas. 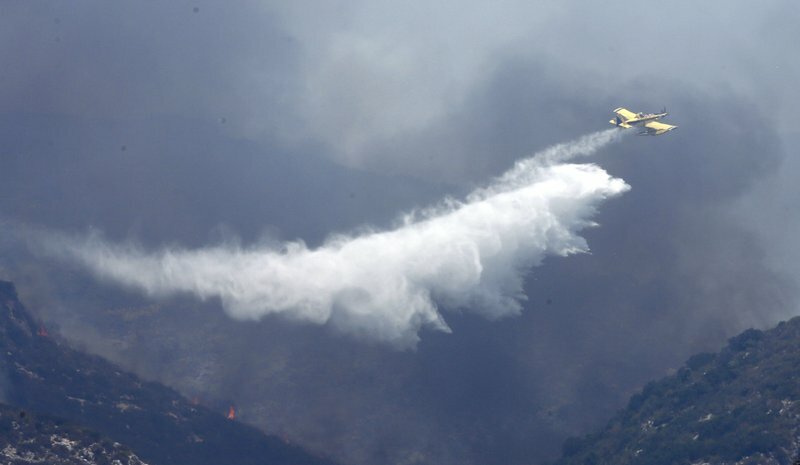 Spanish emergency services said a wildfire Tuesday near Valencia, on the Mediterranean coast, was almost under control after two dozen aircraft were brought in. The blaze forced the evacuation of around 2,500 people. The high temperatures moved northward to France. The hottest weather was expected in central and northeastern France, with temperatures that could reach 40 C (104 F). Dutch authorities evacuated four campsites as a brush fire swept through parched countryside in the eastern Netherlands, where temperatures were in the mid-30s C (90s F). The regional security service said that firefighters from three provinces were battling the blaze Tuesday in Wateren, 135 kilometers (85 miles) northeast of Amsterdam.